During the recent years we have noticed constantly increasing interest in CRM solutions. Despite this technology is fully established on the international market, there are still a lot of myths about it. Let´s take a look at the most frequent ones and you´ll see that what was relevant decades ago, is not quite true today. The idea that the CRM system is designated exclusively for a sales department belongs among the most misleading ones. This myth does not apply mainly to companies respecting holistic approach, where other key company departments are engaged in the sales process as well. What is more, existence of CRM modules for management of sales, marketing, customer service or field work absolutely defeats this myth. To the Sales department, the CRM for sales management offers a 360-degree view on a customer, streamline management and automation of business activities, records communication history and the entire business process (from a lead, through a business opportunity to closing the deal) or offers advanced reporting and access to data from the field. 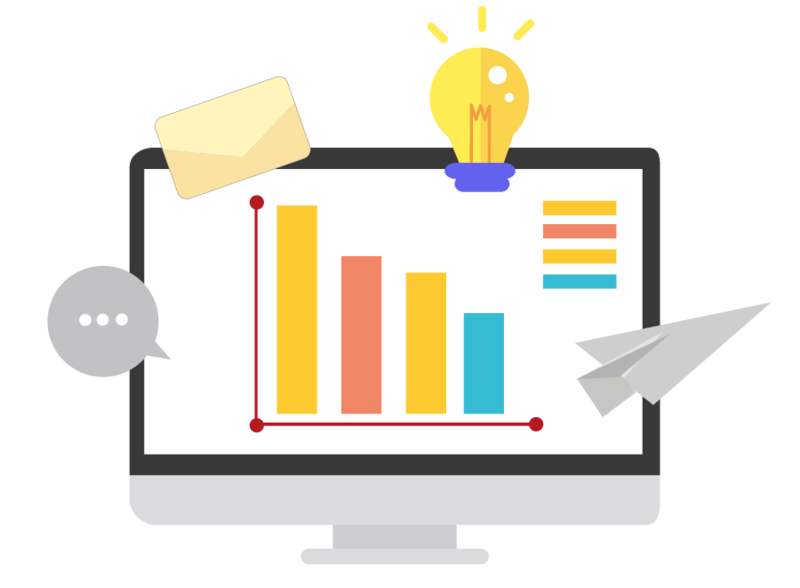 To the Marketing department, the CRM for marketing automation offers management of marketing and email campaigns, simple creation of web forms, landing pages and surveys, lead nurturing or advanced web analytics. To the Customer service department, the CRM offers effective serving customers across all channels (online via chat, email or social networks, by phone via call-centre or in person at the branch), recording all their interactions, self-service functionalities, cases/complains/knowledge management as well as measuring key metrics and customer satisfaction real time. To the field employees, the CRM offers a possibility to provide services or solve customer incidents directly on the spot. Customer-oriented solutions such as Predictive maintenance help to effectively manage service cases or increase productivity of the service technicians who can cover all the service processes anytime, anywhere and from any electronic device. Whether the aim is to increase sales, provide perfect customer experience, generate leads or increase customer loyalty, using the CRM solution is the perfect way how to achieve it. Nevertheless, its real added value lies primarily in using gathered customer data across individual departments (e.g. Based on existing data, the Marketing department can much more precisely target and personalize its communication; Thanks to the customer interactions aroused from the performed marketing activities, the Sales department can create customized business offers; the Customer service department has all relevant information for perfect customer service in hand, etc.). Not only sales, but also marketing and customer care departments can knowingly use the benefits the CRM offers. Market leaders try to interconnect these departments as much as possible via the centralized CRM system with the only goal – to increase sales, awareness of the brand, customer satisfaction and loyalty. Companies, whose departments mutually collaborate, claim 38 % higher return on sales and improvement of 67 % in closing deals. Some years ago, implementation of the CRM solution was considered to be luxury and privilege of the large and wealthy corporations. However, it has changed, and now modern CRM solutions offer various alternatives (plans depending on size of the company or required functionalities) and system scalability according to individual needs. Today market offers perfect solutions for medium or large organizations (e.g. 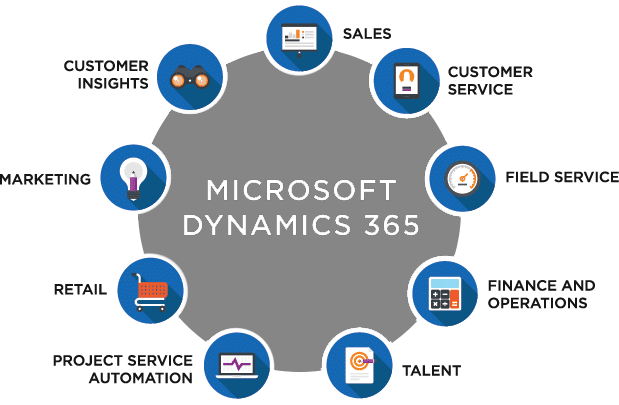 Microsoft Dynamics 365), but also affordable CRM systems for smaller or medium companies (e.g. bpm’online). integration of the CRM with third parties’ systems. So called “out-of-the box“ solutions have become a choice for smaller and medium companies and defeat the myth that CRM is a solution affordable only for large companies. In fact, so many smaller and medium companies have already adopted CRM technology (needless to say about large companies) that is truly difficult to stay competitive without the CRM technology these days. Do you know what are the common characteristics of the companies Polaroid, Toshiba or Motorola? They did not have “a need” to innovate what led to catastrophe as they were wiped out by their progressive competitors. Do you need to store important data on customers you have dealt with? Do you know what customers need and are you able to adapt your offer and portfolio? Do you need to record activities into the calendar to plan your work day or week? Do you need to create a list of “follow-up” activities? Do you need to write minutes from your meetings and phone calls? Do you need to create reports helping you make better decisions based on up-to-date data? If your answers were mostly “yes”, you surely already use the CRM solution. Maybe not in a sofisticated form of mutually connected tools, but serving as a substitute for the real CRM system (e.g. OneNote for writing down notes from meetings and phone calls, Excel files for recording important information on customers, Microsoft To-Do as a reminder of follow-up activities or Microsoft Outlook for sharing all the information with the rest of the sales department). Let´s be honest, is this an effective way of work, communication and information sharing in today´s digital era? If the company doesn´t have a centralized CRM solution, its employees most likely do not perform their business activities as effectively and consistently as they could. The CRM solution can increase growth of sales and productivity of sales representatives by up to 29%. It is true that the CRM solution offers a view on important KPIs (performance indicators), which help managers to make right strategic data-based decisions, but to perceive it as a “Big Brother” functionality is needlessly paranoid. To defeat such a myth, we often implement so called gamification, which promotes competitiveness of the employees in reaching the best possible results, for what they are awarded. If the CRM solution is adapted properly, the employees and managers cooperate in synergy with the vision of more effective reaching of set goals. It´s important to realize that managers do not require from the employees to “record at least 10 business phone calls a day”. The true value of the CRM lies in recording of all important data into a centralized and non-stop available system, which helps sales representatives to automate their routine tasks or streamline sales activities. In the past, integration of the CRM solution with other systems used by a company was extremely lengthy, since it lacked a possibility of open AP or native integration. Of course, the following rule still applies – the more systems the company uses and the more complicated they are, the integrations become more time-consuming. However, the new wave of the Saas CRM solutions has simplified their interconnection with other applications thanks to the native integration. What is more, CRM systems are often supplemented by so-called marketplace – a variety of applications for immediate installation into the system extending CRM functionalities (call centre modules from suppliers of telephony, document management systems, mobility, tools for internal collaboration or connectors for well-known applications). Thanks to them, an employee is able to perform lots of activities without leaving CRM environment. If you are still a fan of upper mentioned myths, contact us – based on real cases, we can show you the benefits of the CRM solution.